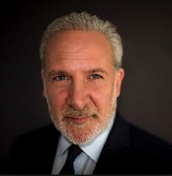 Peter Schiff On The Markets: Oil: The First Of Many Bubbles To Pop? Most of the good jobs that have been created over the past few years were created in that sector. And now these jobs are at risk. And I think this is somewhere between the dot com bubble and the housing bubble. I think it is bigger than dot com, smaller than housing. But again there were also positive effects of falling home prices because it made cheaper for people to buy houses. But there was a lot of debt that was accumulated and a lot of layoffs in the sector, so we are looking at the same possibilities in the oil sector burt here is a bigger equation. If it turns out that oil was just a bubble created by cheap money, well what about the stock market? What about the housing market? What about the bond market? What if they are all bubbles? What if the oil bubble is just the first of many that are going to pop?